Soapstone is a metamorphic rock. 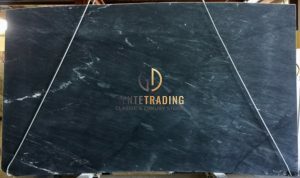 Because of its high talc content, soapstone slabs may feel “soapy” when touched, hence the name. There are two different kinds of stone, popularly called soapstone. Talc, the softer of the two, is used for carvings. The other is called Steatite. Steatite is harder than Talc and commonly used for countertops, sinks, lab benches, fireplaces and ovens. 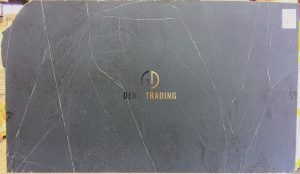 Soapstone is used for inlaid designs, sculpture, coasters, and kitchen countertops and sinks. Due to its ability to absorb and evenly distribute heat, it is also used for fireplace surrounds and woodstoves.